Muscle Bomb is a pre-workout shake which provides the body with ingredients chosen for their remarkable results in aiding training sessions. ItåÊcontains fifteen ingredients, seven of which are specifically chosen for their role in the best pre-workout performance. With 8g citrulline malate, 7g BCAAs, 2g L-Carnitine, 2.5g TMG, 3.2g beta-alanine and 1g taurine per 30g shake, Muscle Bomb comes in a caffeinated and non-caffeinated version, so you can work out in your own style. Once you try Muscle Bomb we are convinced that you’ll never use another product, so much so that we offer a full money back guarantee. 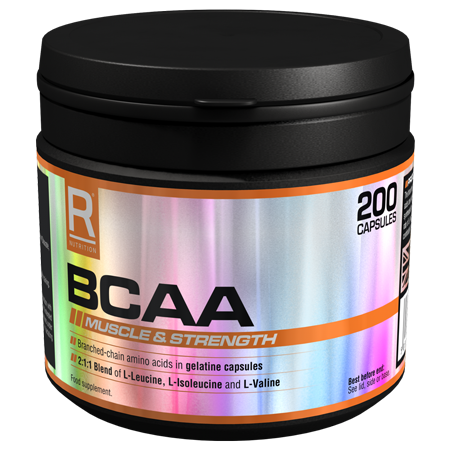 Each shake provides the muscles 7,000mg of BCAAs to contribute to the maintenance and growth of muscle. 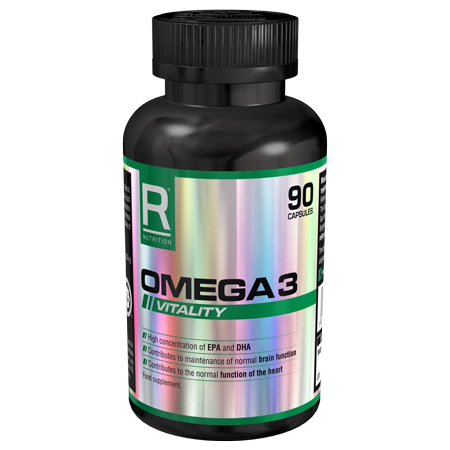 8,000mg of citrulline malate, 3,200mg of beta-alanine, 2,000mg of L-carnitine tartrate, and 2,500mg of betaine. 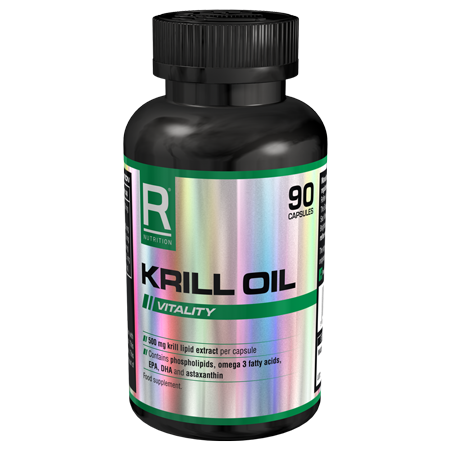 To this, vitamin B6 and B12 contribute to normal energy-yielding metabolism, normal functioning of the nervous system, and a reduction of tiredness and fatigue. The specifically selected active ingredients in Muscle Bomb are chosen for their high quality effects, designed to ensure you are getting the best out of your workouts. 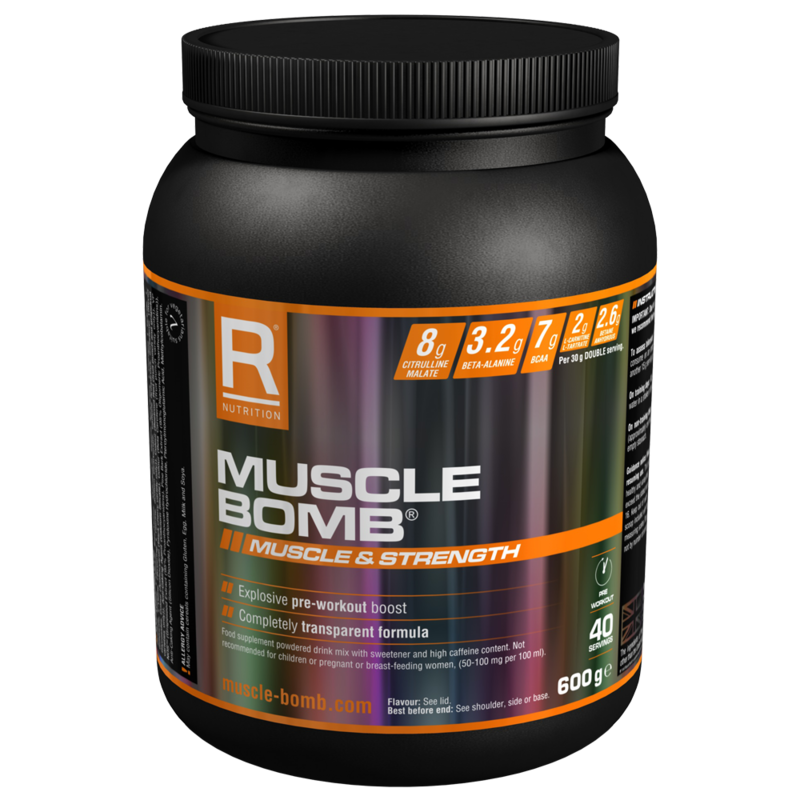 Muscle Bomb is suitable for men and women aiming to enhance their workout to get better and faster results from training. Many athletes know the frustration of reaching a plateau or an energy lag during a workout, and Muscle Bomb is designed to pick you up and aid you to keep pushing through the best workout you can achieve. Muscle Bomb is a vegetarian product, and is also suitable for coeliacs. IMPORTANT: Due to the highly potent ingredients and stimulating effects of Muscle Bomb, we recommend that you assess your tolerance before using it as part of your training regime. To assess tolerance: Mix 15g (approximately one heaped 25ml measure scoop) with 300ml of water in a shaker or blender and consume on an empty stomach. Wait 30 minutes and assess how you feel. If appropriate, consume another 15g serving and assess your tolerance again. Do not take a third serving. On training days: Mix 15-30g (approximately one to two heaped 25ml scoops) with 300-400ml of water in a shaker or blender and consume on an empty stomach 30-40 minutes before your workout. On non-training days: Consider using the caffeine free version of Muscle Bomb so as not to lower your tolerance to the caffeine. 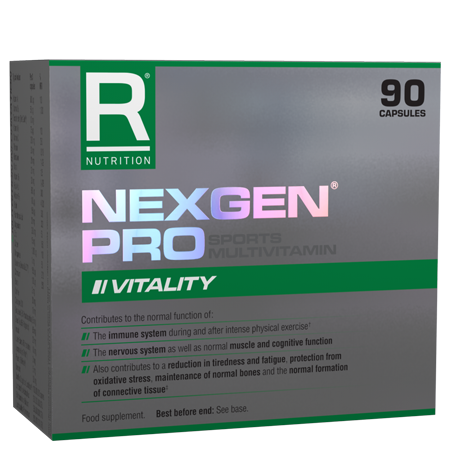 Mix 15g (approximately one heaped 25ml measure) with 300ml of water in a shaker or blender. Consume on an empty stomach. After 12 weeks of use take a four week break before resuming use.